Each milestone is a celebration. However, this one is particularly special and a special thank you to all Avada customers is in order. Thank you to 508,751+ people who have chosen to make Avada part of their daily lives. As a team, we are proud, we are exhilarated, and it is humbling to see just how far we have come as a company and a theme creator on Themeforest with the most popular theme sold on the marketplace. What inspires us is the desire to make a positive difference, both internally and externally. An overused phrase, perhaps, but it is a cornerstone in our company philosophy and culture here at ThemeFusion HQ. What we have created and continue to evolve in Avada has motivated many of you into becoming self-sufficient and confident in utilizing WordPress + Avada as your go-to design tool for the web. What Makes This Milestone So Special? Half a million, пола милиона, Μισό εκατομμύριο, پانچ لاکھ, paanch laakh, পাঁচ লাখ, ‘n half miljoen, نصف مليون, 五十万, mig milió, félmillió, eine halbe Million, mezzo milione, 50万, העלפט אַ מיליאָן, isigamu sezigidi, hanner miliwn, ครึ่งล้าน, 오십 만, en halv million, isiqingatha sezigidi, medio millon, pola milijuna, leathmhilliún thank-you’s! Moreover, this milestone stands as a testament to dedication and unrelenting commitment. Our advantage in the market is because Avada is exclusively built and maintained in-house, guaranteeing you a reliable and meticulously supported WordPress design experience. We do not rely on or are influenced by 3rd party tools to provide functionality, and this is why Avada will continue to be one of the most flexible design tools out there. Lastly, but no less important, something for all Avada + WPML multilingual plugin users out there. 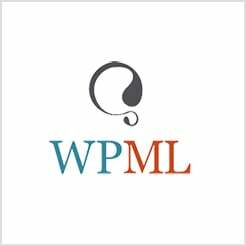 The lovely folks over at WPML have partnered with us to bring you 20% Off their Multilingual CMS and Multilingual Agency licensing (coupon offer valid for the duration of the Avada sale only). Grab the discount and read the terms for their offer here. Roadmap + Avada 6.0 Beta Has Started! Avada 6.0 and the live editing experience has been lovingly developed by our illustrious development and design team that will provide you with a revolutionary and efficient design experience. We will be expanding on this experience in the coming months and will continue doing what we always have done: Extend beyond the current possibilities and boundaries of what the WordPress core has to offer and deliver the best possible experience for all Avada users. Avada 6.0 Beta is here! A long time in the making, the Avada front end experience is going to revolutionize the way you work. Sign up here for an invitation to participate in the Beta program.